Poking your head inside dilapidated mausoleums, one cannot help to be somewhat overwhelmed by the haunting presence and cryptic smells of expired Argentinian citizens. Although most of the tombs are well maintained, there are still a large amount that prove to be dilapidated and unmaintained for several years past. Broken windows and doors, spiderwebs painting the innards of the walls, and weeds growing between the caskets. 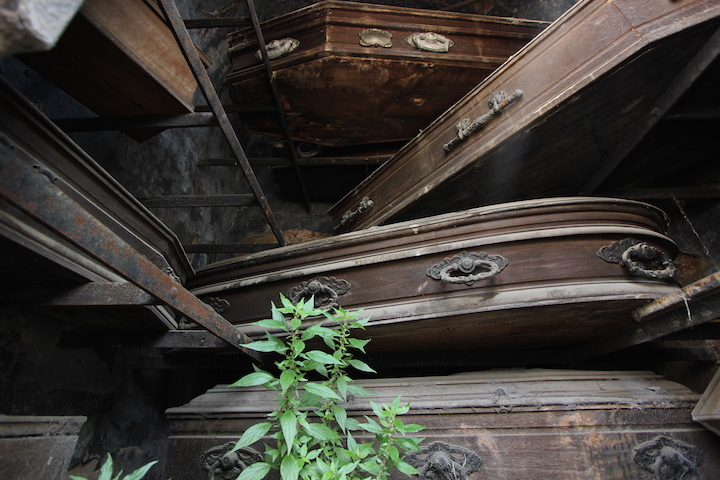 “Beauty from neglect” might be a phrase that comes to mind when describing some of these tombs. 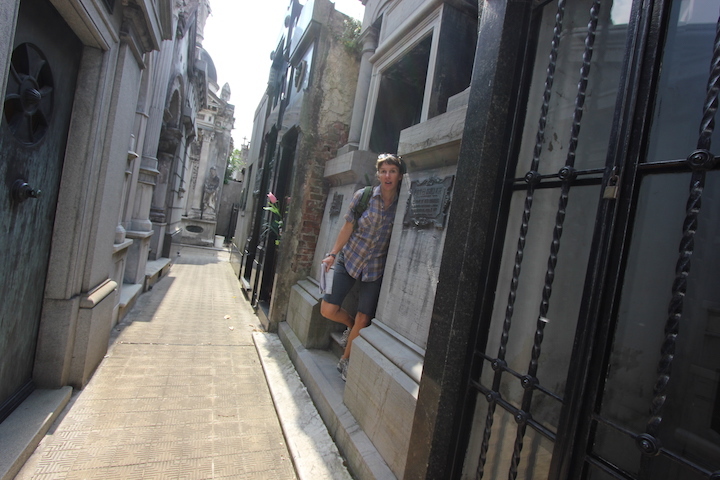 Recoleta Cemetery, hailed one of the worlds greatest cemeteries (voted by the BBC), is the resting place to several notable people. Past Argentinian presidents, Nobel Prize winners, Eva Peron, the founder of the Argentinian Navy, and the granddaughter of Napoleon just to name a few. With close to 5000 mausoleums closely knit within the grounds, you can spend hours walking the narrow alleys getting lost and peeking in both the ramshackle as well as the well kept structures. To my surprise several of the tombs contained a staircase heading underground into the dark bowels of the earth, most likely containing one to several caskets, and possibly entire families. Yes Lou, it was definitely a cool creepy place to visit.